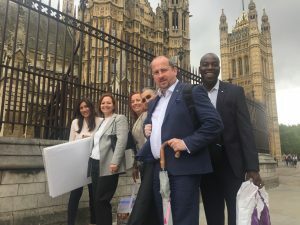 On the way into Parliament… couldn’t help myself ! 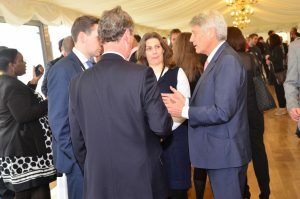 Earlier this week, we held our first Parliamentary reception at the House of Commons. 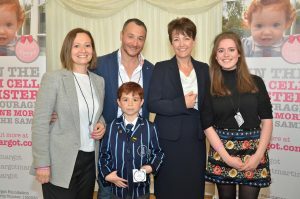 The event was very kindly hosted by Mark Tami MP, who is not only the co-chair of the All-Party Parliamentary Group on Stem Cells, but also the father of Max, who has had a successful bone marrow transplant. 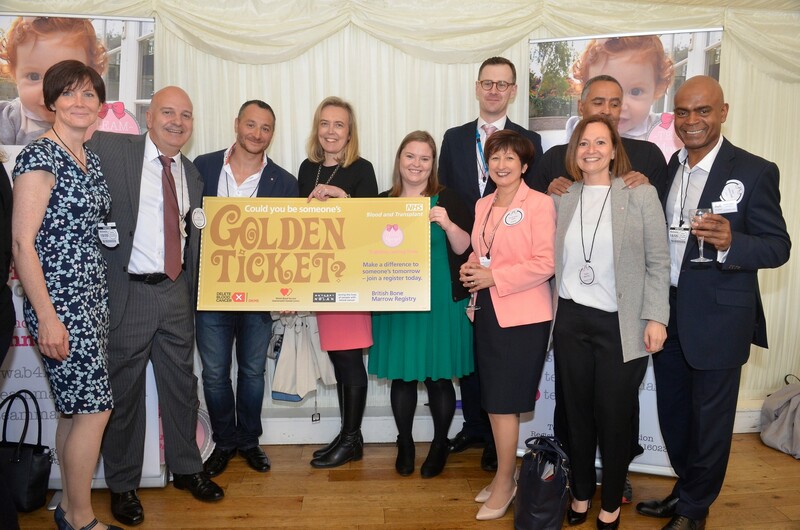 This event represents quite a big step forward for our charity in our quest to make a difference, in Westminster. 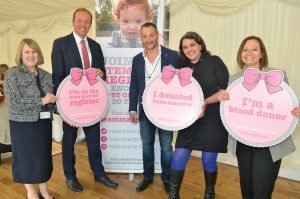 Our primary aim was to appeal to the Lords and in particular the MPs to please support our campaign and help raise the priority and importance of stem cell donor registration in their constituencies. 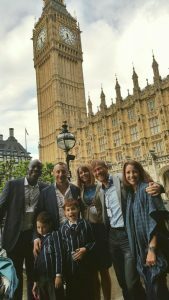 On the day, we were delighted to receive more than 30 MPs and Lords, which was about three times more than we initially hoped. 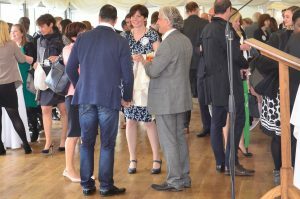 Significantly, amongst the many others that turned up to support were Jane Ellison, Minister for Public Health who also spoke for several minutes and my local MP, Justine Greening, who is Secretary of State for International Development. 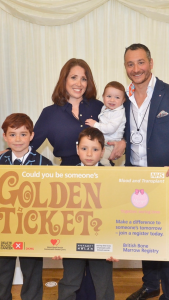 Judy Leden MBE, a peripheral stem cell donor who joined the register because of Margot, also spoke brilliantly & movingly about her own experience, as a donor. Thank you so much again Judy ! I have pasted a transcript of my own speech below, for reference. 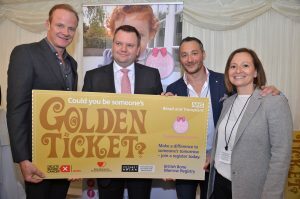 We were also blessed with a number of fantastic celebrities who all agreed to turn up and be photographed with MPs and for their photos to be used in the press. This was enormously helpful. 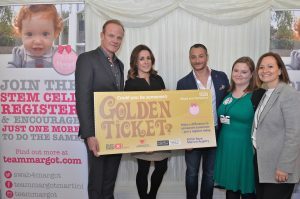 A huge thank you to sporting legend, Daley Thompson, broadcaster and stem cell campaigner Nick Ross, Formula One TV presenter Natalie Pinkham and Alistair Petrie, star of hit series The Night Manager, Undercover (currently showing on BBC1) and the new Star Wars film: Rogue One, which is out later this year. Thank you also to the many charities, officials and important people in the field and in government that attended, including Margot’s doctors, our family and friends. Finally, an extra special mention of thanks and gratitude to my sister & Margot’s auntie, Nadia for all her hard work and fabulous efforts. Of the two is us, Nadia is the organised one ! Well done & thank you again to all involved and to everyone for your ongoing support. Our trustees are very pleased with how the day went and look forward to building upon this platform and taking things to the next level. hello & good afternoon! Thank you everyone for taking the time to be here with us at our first Parliamentary Reception. And thank you so much Mark for hosting today, for inviting so many MP’s & for all your help & advice, which Nadia & I appreciate very much. 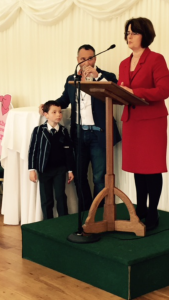 A huge thank you too to Robert Lord Hayward for inviting all the Lords as well ! 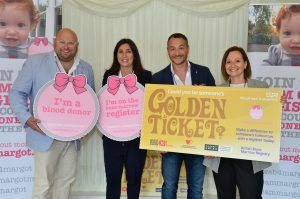 My daughter, Margot died a little over 18 months ago when she was just two years and two months old – sadly, her bone marrow transplant was unsuccessful – and we set up Team Margot Foundation in January last year in her memory and to honour her legacy. 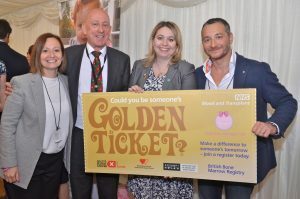 We’re a campaigning charity – we campaign for more people to join the worldwide bone marrow registers – and at our core, what it’s really all about is: “giving to help others”: and when we say “giving”, in this context we don’t mean giving money; instead, we mean giving, literally, a part of ourselves for the sake of others, hopefully to help save a life. Because, you can do that. Often, people don’t know how to give in this way and sometimes, the mere thought of giving can seem quite scary and frightening. 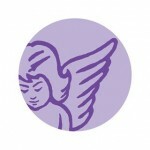 Which is why we signpost where to go on teammargot.com, explain what’s involved, and encourage people to register. We’d like people to think about that. I regard registering to be a potential stem cell donor as being the entry-point or “gateway to giving”, because it’s an easy, one-time action. And if you are fortunate enough to be matched with a patient in need, it’s also very likely that your donation will be a one-time action too. By comparison, blood and platelet donations are regular & ideally ongoing commitments. These are all simple procedures to perform and our bodies naturally replenish what has been harvested, unlike with organ donation (ie the next level of giving), which more often than not, can be our final gesture as human beings. Margot was mixed race, and that was the key reason why it wasn’t possible to find her a donor with a “perfect” matching tissue type. 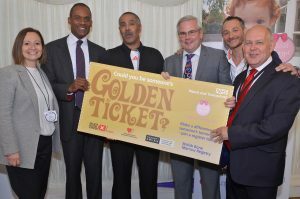 Black Asian and Minority Ethnic patients have only a 1-in-5 chance of finding their “perfect match” – it’s lousy! – and for people who have mixed heritage like Margot, the odds are even worse. To improve these chances and to increase the number of matches, we urgently need more ethnic diversity on the stem cell registers and for more people of mixed race to join. That’s what Team Margot is about: We want to help all those people who, just like Margot and our family, never thought they’d need a bone marrow transplant. 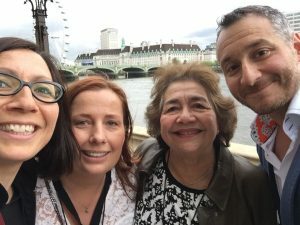 So, what are we doing here, in Parliament ? 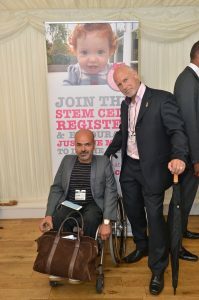 Well, we’re appealing to the Lords and in particular to MPs to please support our campaign and help raise the priority and importance of stem cell donor registration in your constituencies. 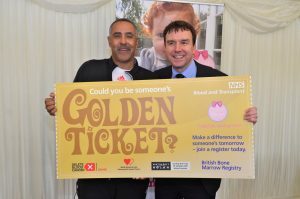 There is a photo opportunity for the MP’s to pledge your support (we have pledge boards) – and you might have noticed some very familiar faces who have joined us today and agreed to have their photographs taken with MPs for use in the press. 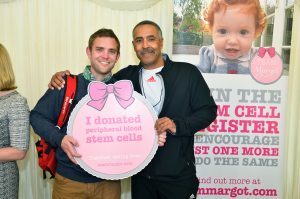 You’ll see that they’re an eclectic mix – which is just as the stem cell register should be ! For the MP’s, there is also a campaign press release which we will send you with your photographs after today – please use this to raise the issue in your local newspapers, in surgeries, and with as many people as possible in your constituencies. 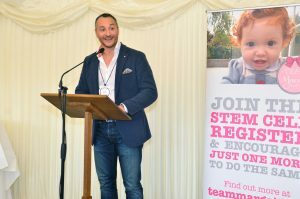 And for everyone else attending, we need your support to help reach our national target of 2.2 million people to be signed up to the UK stem cell register. 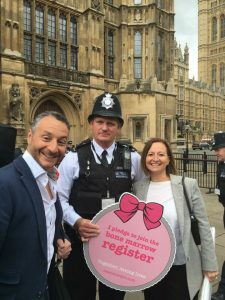 The 2.2 figure represents both a celebration of Margot’s life and an aspiration to double the current number of people on the UK registers. We recognise that this is a fantastic target to aim at, but then, the British people are fantastically benevolent. 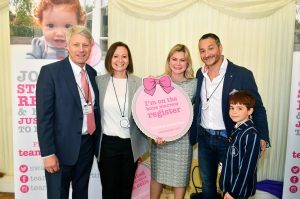 Please do whatever you can to help build a national momentum towards achieving this goal, even if it’s as simple as telling one person how they can register and help save a life. Because, you can ALL do that ! 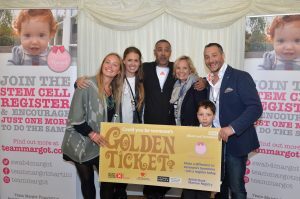 Thank you to our charity trustees: my sister-in-law Charlotte Hathaway, my friend James Cuthbertson & in particular my sister Nadia, without whom it wouldn’t be possible for the charity to function. 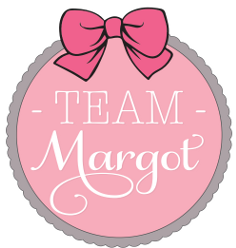 And on behalf of all at Team Margot and not least the bone marrow patients themselves, I also want to extend our thanks and gratitude to all the charities here for what you do and not just for supporting Team Margot, but also for enabling people to join the register. 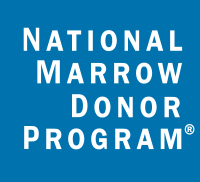 Without you, bone marrow transplants simply wouldn’t be possible. We’re delighted to have such good, positive relationships with you and feel proud to be working with you. Together, we’re saving lives. to the minister for Public Health for making the time to be here today – she has been exceptionally supportive of our efforts for which we are most grateful. Please welcome Jane Ellison. Our last speaker is without question the greatest woman pilot in free flying. She has been three times champion of the world, twice in hang gliding, in paragliding and six times British Woman’s Champion. She has dropped from a balloon at 41,000 feet over the Jordanian Desert, higher than any man or woman in the world and has also captained the British Hang Gliding team.